For some reason I seem to end up watching Alice in Wonderland based shows a lot lately. 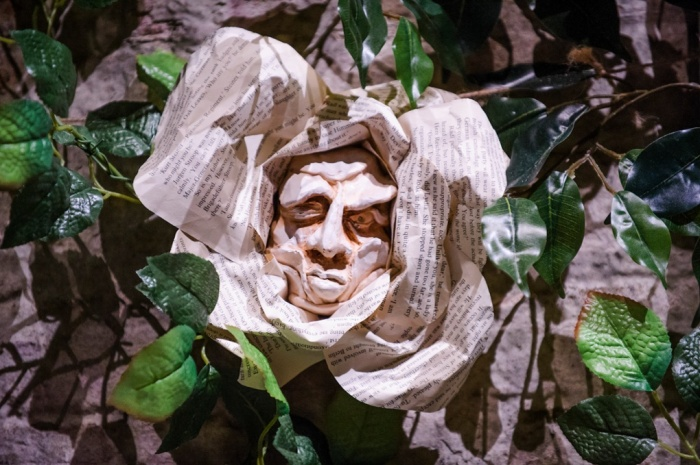 From the stunning Then She Fell in New York to Alice: A new musical (a workshop production) to the latest immersive adaption of Lewis Carroll’s popular novel which has just started previews at The Vaults in London. Alice Underground is a journey into the strange world that is Wonderland with all its unique inhabitants. And even though you meet familiar characters on your way this is not your classic Alice in Wonderland story. 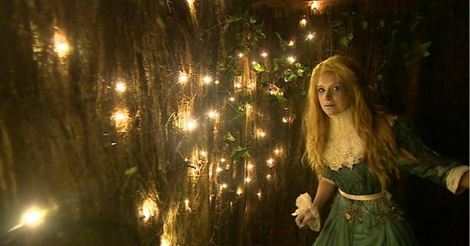 According to the show’s artistic director this Wonderland is based 150 years after Alice fell down the rabbit hole. The Queen has banned all nonsense and different factions are fighting. The audience decides which path to go by choosing “Eat me” or “Drink me” early on in the show. After that there is no more personal choice of where to go which makes this show less free in terms of exploring than for example a Punchdrunk show. Without spoiling too much I can say that there are 4 different routes you may end up on but after your first choice you can’t influence which of the next two available routes you will be sent on. You will watch the majority of the show in a group of 14 audience members. Each group wanders from scene to scene, sometimes sharing a scene with another group right up to the huge tea party scene and the final trial. While each scene I encountered had something special and unique some moments definitely stood out for me. A special mention for the mock turtle scene which was haunting and beautiful and – even though there was no interaction involved – really made me feel like I was actually in Wonderland. The cast work incredibly hard yet they make the whole thing look so easy and while the show must be a logistical nightmare to put on it runs incredibly smooth especially considering I attended the third preview. Yes, there were a few timing issues but these did not take anything away from the overall experience and will surely be sorted once the cast and crew have had time to settle into the show some more. The set is impressive and Les Enfants Terribles have made the most of the rather small spaces. It never felt cramped even though you do end up walking through some rather narrow corridors. Be aware that there are pieces of audience interaction, some of which you can’t really choose to avoid (I won’t say more because I don’t want to spoil too much). So if this really isn’t your thing you might want to skip this production. 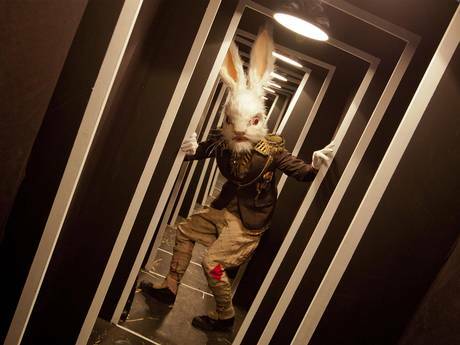 However, if you want to take a unique trip down the rabbit hole and meet Alice and all her wonderful friends in Wonderland then make sure to head to The Vaults and experience Alice Underground. 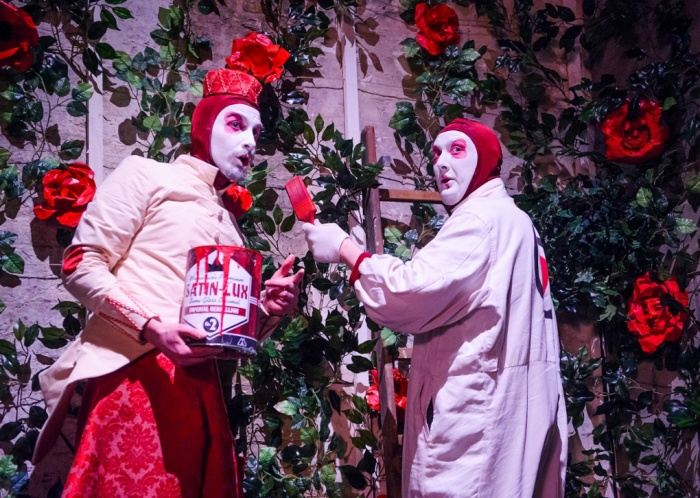 Alice Underground is booking at The Vaults until 30th August 2015. For more info and to book tickets visit http://www.alice-underground.com/. Please note, there is a children’s version of the show designed for 5 to 10 year olds called Adventures in Wonderland and the Wonderland Sessions (on Mondays only) too.